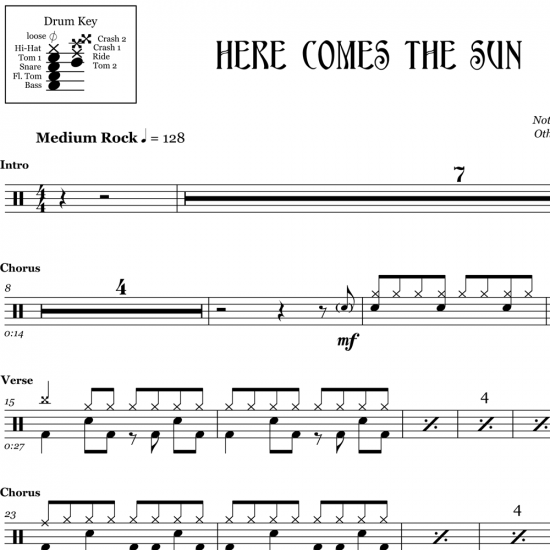 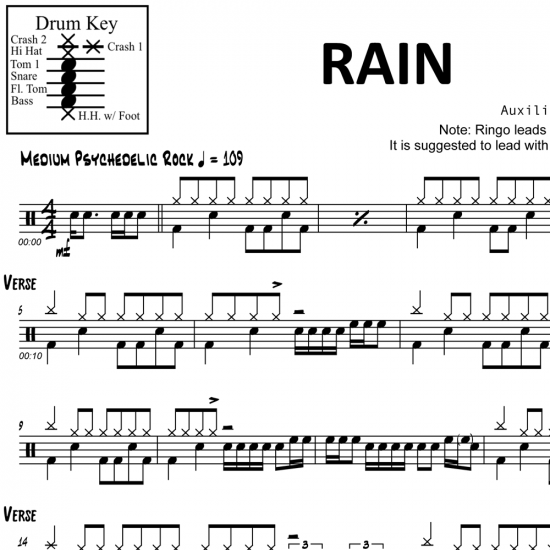 The full drum sheet music for “Rain” by The Beatles from the album Paperback Writer (1966). 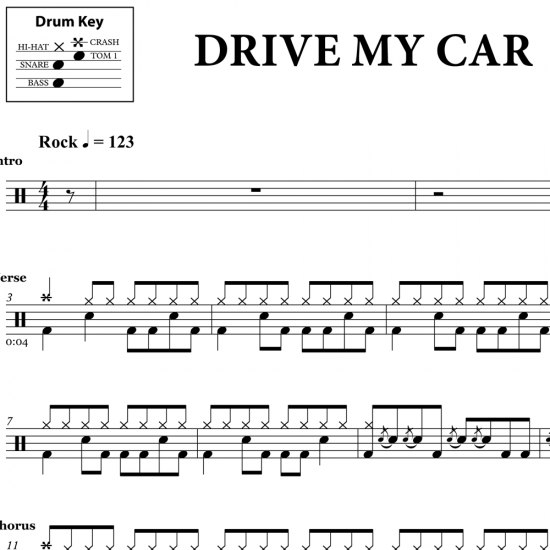 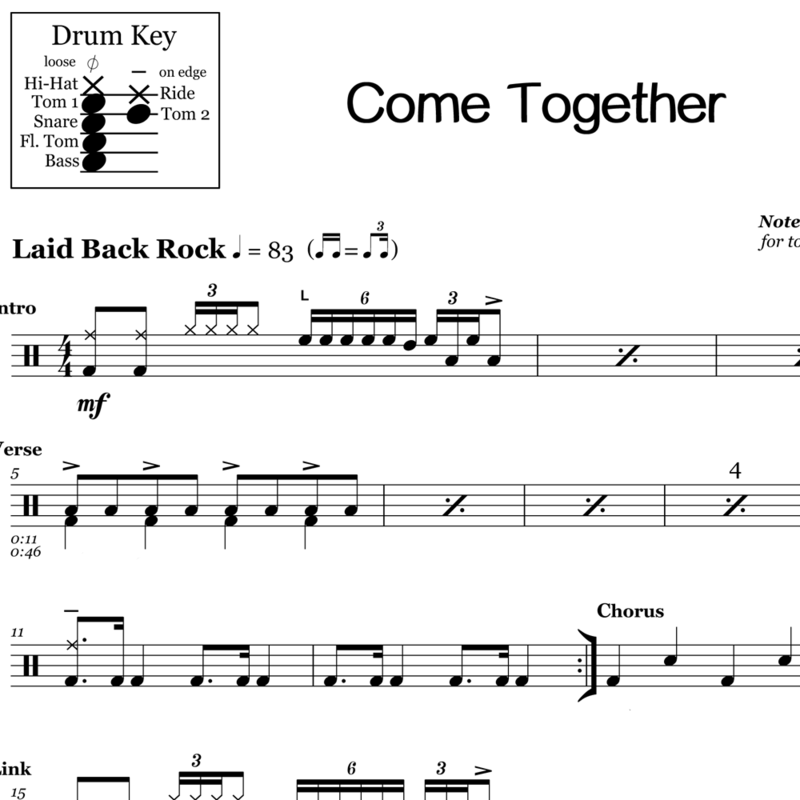 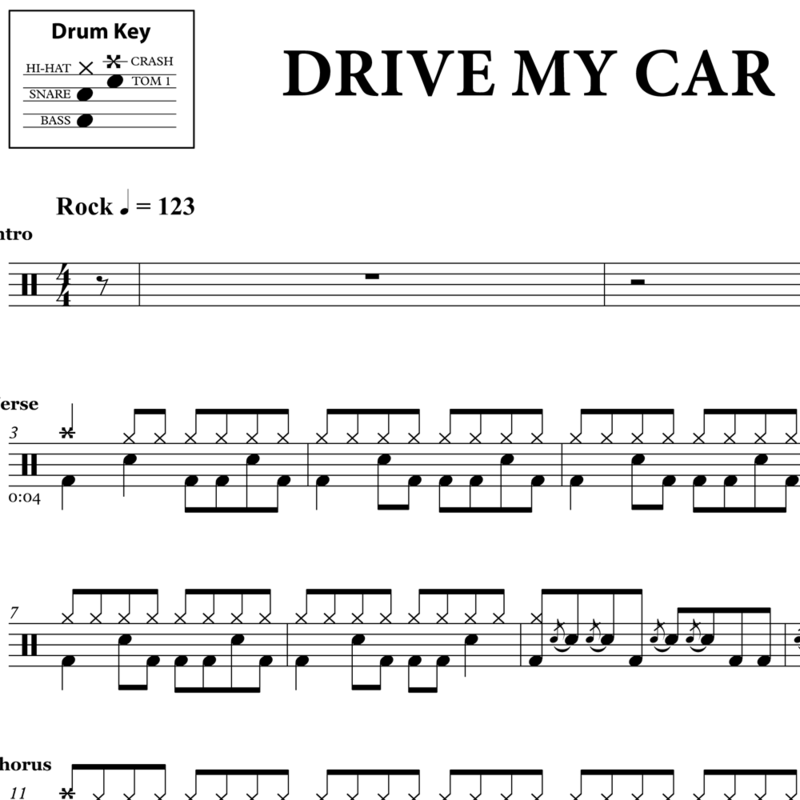 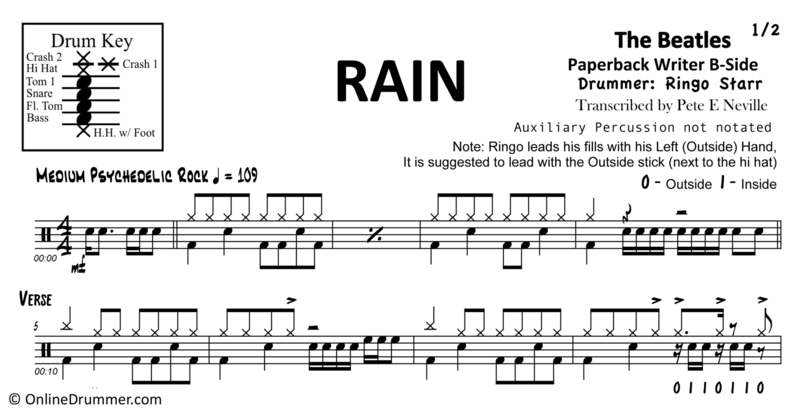 Uncharacteristic of his commonly laid-back style, Ringo Starr’s drum part in “Rain” features fill after fill — almost every other measure of the song. Some of Starr’s fills spread across almost two full measures.